With inspiring views over Kata Noi Beach, Villa Amanzi is a tropical luxury escape with enclosed garden areas and a stroll away from the beach. Perfect for families or groups, fully-staffed Amanzi boasts six bedrooms, a 15-metre pool, lift, spa room and sauna. Enjoy the personal service of Amanzi’s villa manager and chef while relaxing and entertaining in style with the villa’s top-notch TV and sound systems, pool table, table tennis, darts, barbecue, indoor and outdoor bars and modern kitchen. 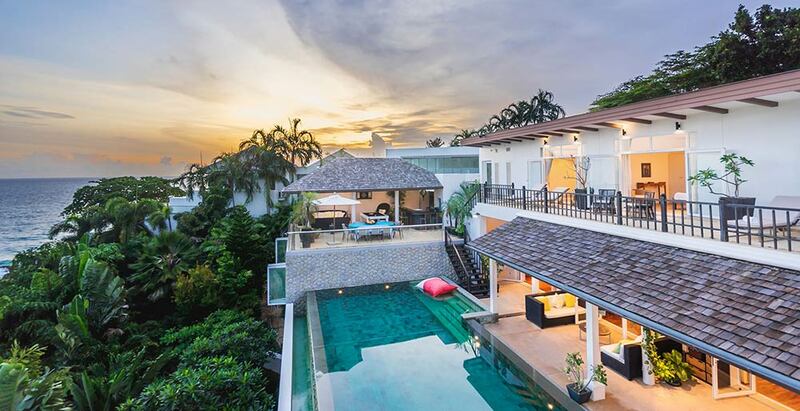 Set in a luxuriant private estate where guests have free use of the clubhouse pool, tennis court and fitness centre, Amanzi is also an ideal base for access to Phuket’s top dining and leisure spots.